Fan Cover Page of Can Love Happen Twice by Parul. 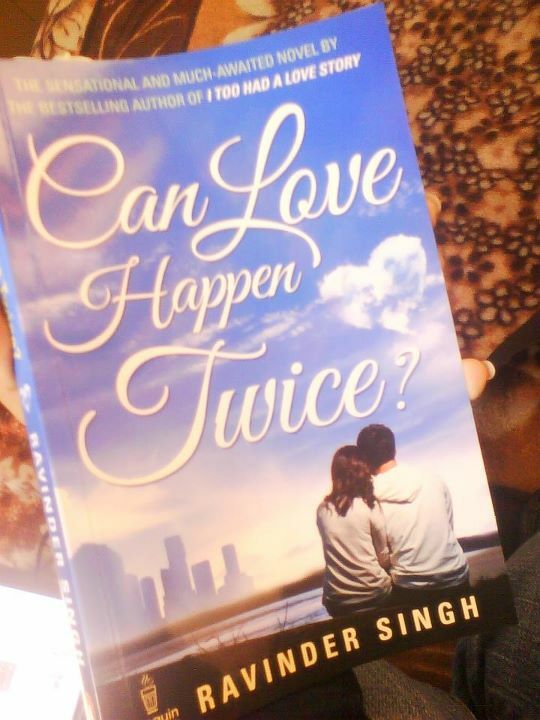 Parul Verma displayed the cover page of Can Love Happen Twice book bought by her. Various other readers were also seen posting their book's cover page on Ravinder Singh's Facebook wall. You all readers can also send your book's cover page to us, which we will feature here. Send it Here. It's great that you are featuring content, i have sent mine, please feature it soon.